Even as he spoke, many put their faith in him. While we often talk about Jesus as our Lord and Savior, we can also find it easy to ignore his voice. Let's make a commitment to read through each of the four Gospels (Matthew, Mark, Luke, & John) before the end of the year. And as we read, let's do it as a search for the heart of Jesus and ask God to help us know him better. 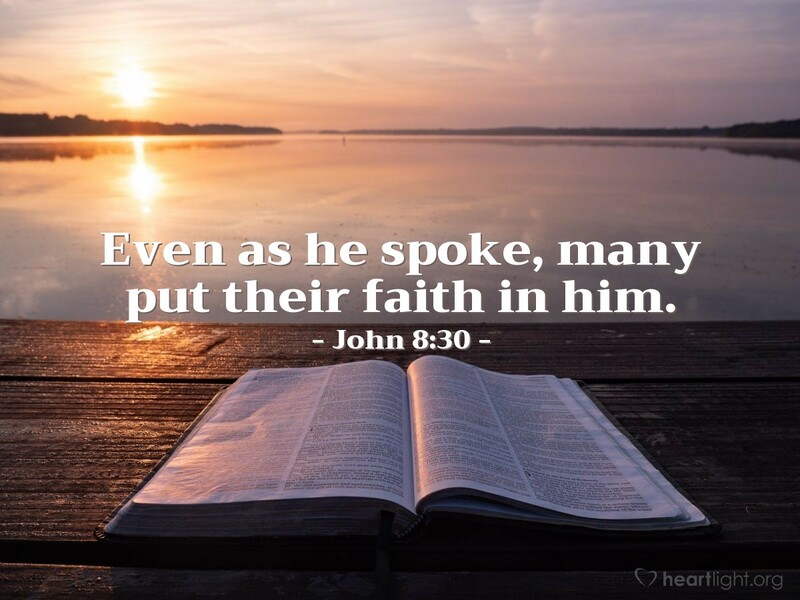 Be with me, dear Father, as I seek to know Jesus better and obey his words more faithfully as I read your holy Scriptures, which find their center in him. In his name, Jesus, Son of God and Son of Man, I pray. Amen.